Custom stickers are a great way to make a lasting statement. Whether you want to advertise your company or call attention to your favorite cause, stickers are an attractive, versatile and inexpensive way to do it. At Stickers-4-Less.com, you'll find a wide variety of stickers, decals, and other great products, from bumper stickers to patriotic stickers. You'll also find excellent options for personalized stickers and custom decals that allow you to say exactly what you want to in an eye catching way. Whether you run a service business or a manufacturing company, custom decals are a great way to reinforce your company's image in the minds of your customers. Custom decals also serve as an excellent way to advertise to new clients as well, giving you a powerful way to enhance your company's reputation. A popular choice is the custom bumper sticker, especially for equipment and automobile dealers. These custom decals are three-dimensional and coated in luxurious polyurethane for an elegant, professional look. Apply to equipment, vehicles, or any other products to increase your visibility and give your company added credibility. 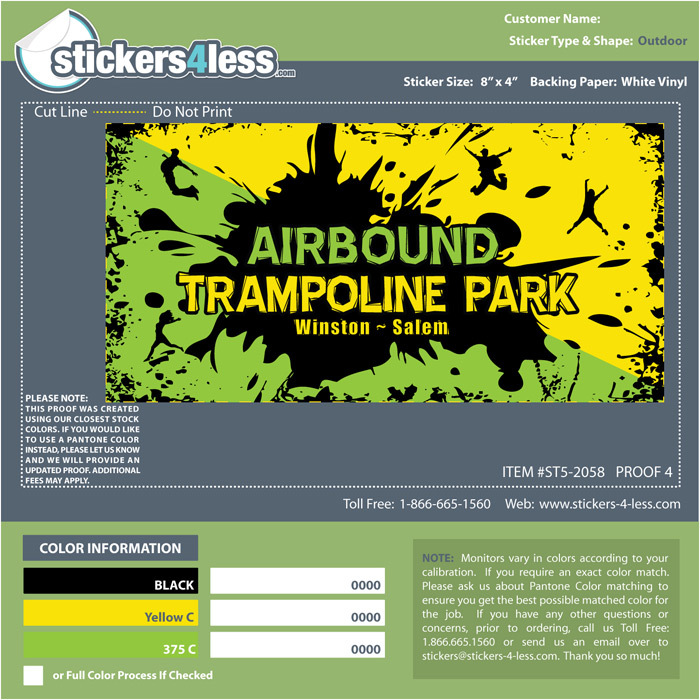 Custom stickers are also a great addition to your company's marketing efforts. Make it easy for your customers to find your contact information by creating custom stickers with all the relevant details. Remind them when it's time to turn to you again with stickers that can be preprinted or handwritten with important information. When the time rolls around for their next tune up, oil change, or any other service, you'll be the natural first choice that comes to mind. Whatever the need, you can get personalized stickers from Stickers-4-Less.com that fit the bill. Fully customizable and created to the highest standards, the personalized stickers can be used for a wide variety of purposes. You can choose from glow-in-the-dark, foil stamped, or embossed stickers, in both stock and custom shapes. Choose sticker rolls for an easy giveaway at your next function, or custom bumper stickers to promote your organization. Whatever you choose, Stickers-4-Less offers great quality at affordable prices. From parking permits to bumper stickers to static cling decals, Stickers-4-Less has the product to meet all of your custom sticker needs. We produce only the highest quality stickers with crystal clear screen printing of your design or logo. Also ordered lanyards from us.